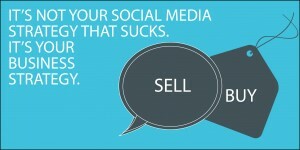 How “Social” is Your Business, Really? Home/Blog, Social Media Marketing/How “Social” is Your Business, Really? Social media is social by nature. It is about developing relationships and rapport with customers and potential customers. By doing this the sale will come eventually. And that sale will also come with brand loyalty and support for life. Business are scurrying to set up social media pages, just like they did with websites when they became all the rage. They know they need them, but unfortunately, all too many don’t know why. They believe that simply having a social media page is enough. Big deal, so you have a bunch of likes. It doesn’t take much to like a page; all it takes is one click of a finger. It’s not a suicide pact, it’s just a click. Social media has turned into the next savior, and businesses are so desperate to “modernize” that they’ll even have their fourteen year olds set up their accounts for them. But, then they complain that they don’t work and are a waste of time. If you’re not social offline, it’s doubtful you will be social online. Not being social online is instant death. Social media is set up for conversation and interaction. Sadly, businesses are too busy to maintain their social presence; they say they have “bigger fish to fry.” They’re too busy setting up booths at local trade shows, sending direct mail post cards, running ads in the newspaper and ignoring the online chatter. They also choose to believe that because they don’t use social media their customers don’t either. We have a tendency to project our reality on everyone around us. We believe, or want to believe, that everyone thinks like we do. My hunch is that if you use Facebook, you know others who use it, and if you don’t, you prefer to believe they don’t. By the way, both are true: Some do and some don’t, but according to Forrester Research, 81% of people who have a computer use social media in some form of another. If you are a B to B company, you have fewer customers than a retail business and the relationships need to be managed. The B to B purchase is a highly considered purchase; it’s not like going to the supermarket. Before a company changes to a new supplier, they want to know everything about them – including their reputation. All of this can be done online. If you choose not to show who you are online it’s your loss. Social media demands a new level of cooperation between the marketing and sales department. No matter what you sell, you have to know what everyone is doing in the marketplace. 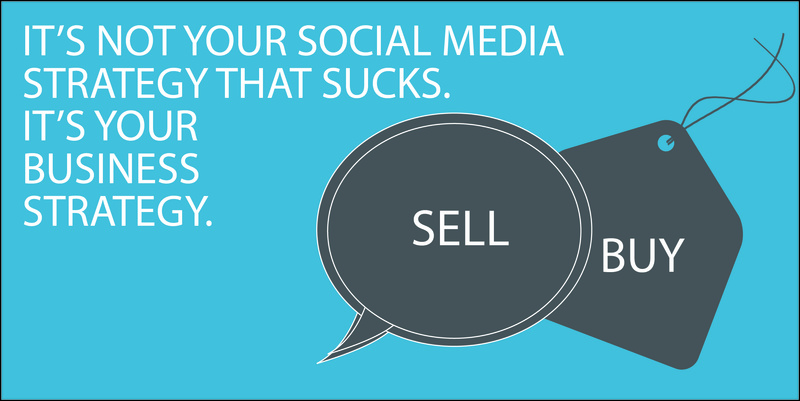 Salespeople need to share with marketing what people are saying, what they’re buying and why their buying. Your brand is constantly being exposed to social media and is likely to be searched on social media if marketing is doing their job. Lisbeth Calandrino has been providing business coaching for businesses for the past twenty years. Her new book, “50 Events to Drive Traffic to Your Store” will be available on Amazon in June 2014. To have Lisbeth to provide training in your store, reach her at Lcalandrino@nycap.rr.com or 518-495-5380. Join Lisbeth in Panama City FL, for two days of “jammed” with sales techniques. http://www.mohawkuniversity.com/2DayPanamaCitySeminar2014.aspx.